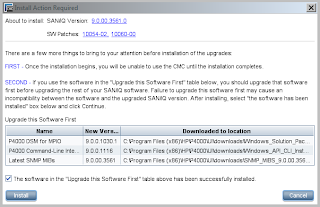 1: Download the CMC 9.0 Installer from http://www.hp.com/go/P4000downloads and install. 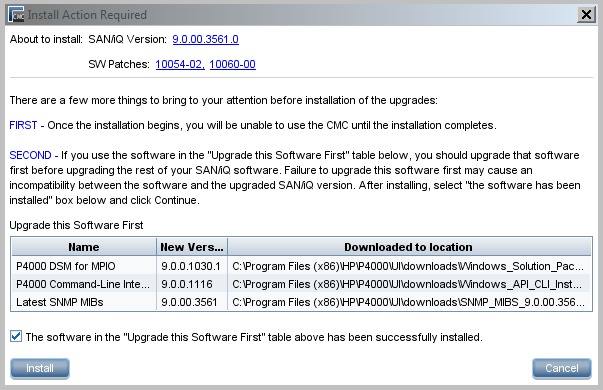 This is a straightforward Next > Next > Next type install, and will uninstall any previous versions of the CMC. 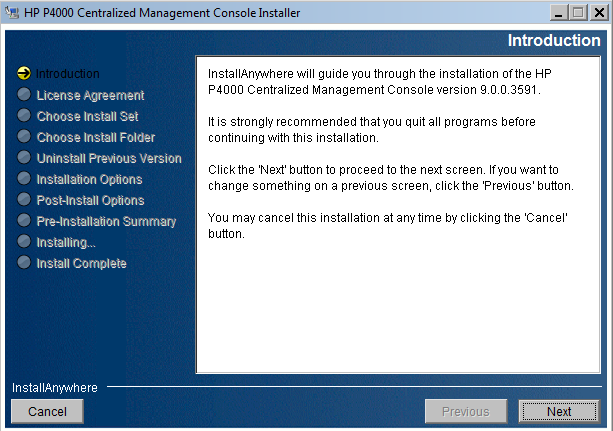 2: a: Open the HP P4000 CMC and login to the management group. 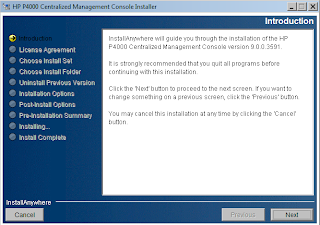 If using any of the software under 'Upgrade this Software First,' upgrade these first (DSM/ CLI/ MIBs,) then tick the check box, and click the Install button. 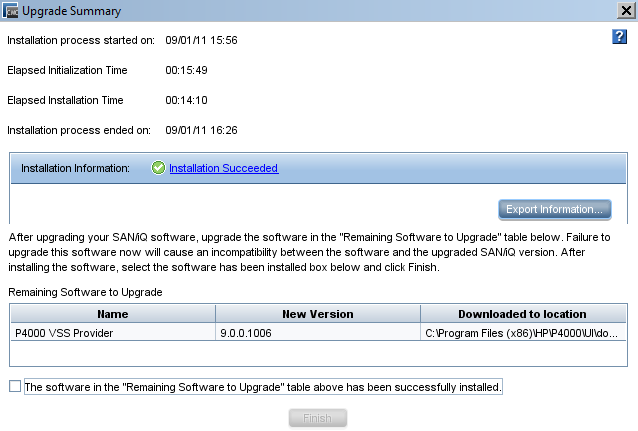 The 'Upgrade Process' Window opens up, software will be copied to the systems, and the install will run. The software automatically installs in the correct order of Failover Manager first, then non-VIP (Virtual IP holder) node, and finally the node holding the VIP. 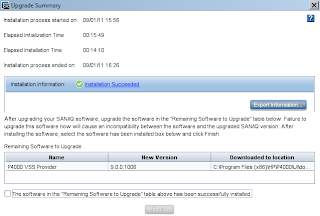 If using any of the software under 'Remaining Software to Upgrade,' upgrade this first (VSS Provider,) then tick the check box, and click the Finish button. 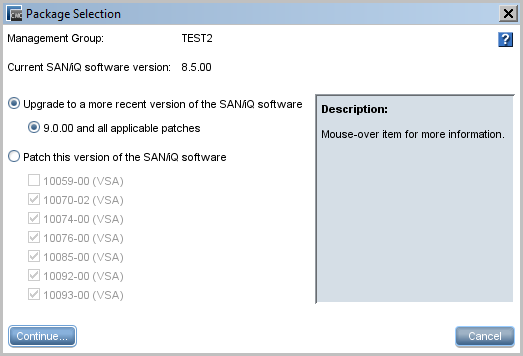 6: Select 'Configuration Summary' in the Navigation pane of the CMC, and the Upgrades tab to verify that software is up to date for the management group. Note I: Recommend keeping a constant ping to the nodes to see when they reboot. Note III: This demo was done in a lab environment using the 8.5 Laptop Demo (384MB guest memory) and 8.5 ESX Failover Manager (384MB guest memory,) within VMware Workstation 7, on a 64-bit VT-enabled workstation. 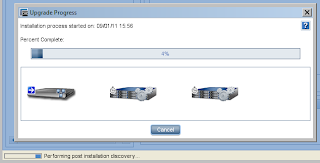 The only error that appeared was from VMware Workstation - 'You are running a 64-bit guest operating system, but the virtual machine is configured to run a 32-bit operating system' – and clicking OK to this both times enabled VSA02 and VSA01 to resume their boot process, no further interaction was required.